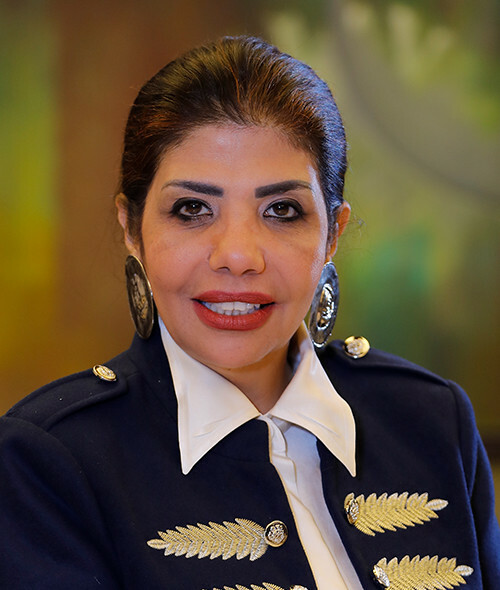 Mrs. Gailane Gabr is a columnist, news editor and member of the Egyptian Council for Foreign Affairs. She has 15 years of experience in news coverage and has worked on executive production teams in renowned television programs. She was mainly in charge of coordinating meetings with important high-ranking Arab and international dignitaries. She has also worked as a senior presidential news editor and networking director, both locally and internationally. Gailane is a political analyst and weekly columnist for Al-Masry Al Youm independent newspaper. She is specialized in Lebanese, Syrian and Iranian affairs. Until recently, she has been covering the daily Presidential news, conferences and events, both nationally and internationally for the best-selling newspaper Al-Alam Al-Yom where she was sole correspondent on all official presidential trips. Her previous experience includes working closely with the influential media personality Emad El Din Adeeb. Gailane has a BA in Business Administration from Cairo University and a Master’s in Crisis Management from the Nasser Military Academy, Cairo, Egypt.